Without the appropriate nutrition, rest, sleep, and strength work, you will become more prone to fatigue and injury. Myproteins new delicious Protein Rice Pudding is simply irresistible, so, fulfil those cravings and feel completely guilt-free afterwards! 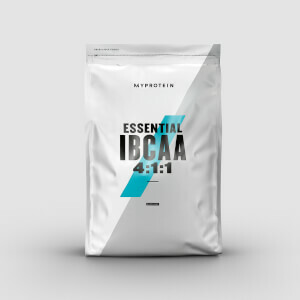 Protein – Each 50g serving delivers an impressive 19g of protein, with the primary source being Micellar Casein. This makes Protein Rice Pudding a perfect pre-bed snack to keep your recovery in safe hands during periods of sleep. Carbohydrates – each 50g serving delivers 20g of carbohydrates derived mainly from Ground Rice. MCT powder – Unlike Long Chain Fatty Acids, Medium Chain Triglycerides (MCT’s) have shorter carbon chain lengths. Flavours – available in 4 mouth-watering flavours:Natural Chocolate, Natural Strawberry, Natural Vanilla and Toffee Fudge. Protein Rice Pudding is perfect for anyone looking for a delectable high protein snack that supports a healthy balanced diet. This can be bodybuilders, track athletes, cyclists, swimmers etc of all ages. Suitable for gluten free and vegetarian diets. To reap the benefits of this product, consume in the evenings as a guilt-free high protein snack. Alternatively, consume anytime throughout the day in between meals. Add 50g of powder to 200ml of water or skimmed milk in a shaker. Shake until smooth and pour into a microwavable bowl. Microwave for 2 minutes on high power. Stir, leave to stand for 1-2 minutes, eat and enjoy! Natural Vanilla flavour:Ground Rice (37%), Micellar Casein (Milk Protein Isolate)(36%), Skimmed Milk Powder (15%), Medium Chain Triglycerides (Palm Oil, Coconut Oil, Rapeseed Oil, Glucose Syrup, Milk Protein, Emulsifier(Citric Acid Esters of Mono and diglycerides of Fatty Acids)(Milk), Flavouring (Natural Flavouring, Sweetener(Sucralose)), Thickener (Xanthan Gum). Natural Chocolate flavour:Ground Rice (36.5%), Micellar Casein (Milk Protein Isolate) (34.5%), Skimmed Milk Powder (14%), Flavouring (Cocoa Powder, Natural Flavouring, Sweetener(Sucralose)), Medium Chain Triglycerides (Palm Oil, Coconut Oil, Rapeseed Oil, Glucose Syrup, Milk, Emulsifier(Citric Acid Esters of Mono and diglycerides of Fatty Acids) (Milk) Thickener (Xanthan Gum). Natural Strawberry flavour:Ground Rice (37%), Micellar Casein (Milk Protein Isolate) (36%), Skimmed Milk Powder (15%), Medium Chain Triglycerides (Palm Oil, Coconut Oil, Rapeseed Oil, Glucose Syrup, Milk Protein, Emulsifier(Citric Acid Esters of Mono and diglycerides of Fatty Acids) (Milk) Flavouring (Natural Flavouring, Colour (Beetroot Red), Sweetener(Sucralose)), Thickener (Xanthan Gum). Toffee Fudge Flavour: Ground Rice (38%), Micellar Casein (Milk Protein Isolate) (37.5%), Skimmed Milk Powder (15%), Medium Chain Triglycerides (Palm Oil, Coconut Oil, Rapeseed Oil, Glucose Syrup, Milk Protein, Emulsifier(Citric Acid Esters of Mono and diglycerides of Fatty Acids), Flavouring (Flavouring, Malt Powder (Barley),Sweetener (Sucralose)), Propylene Glycol), Thickener (Xanthan Gum). 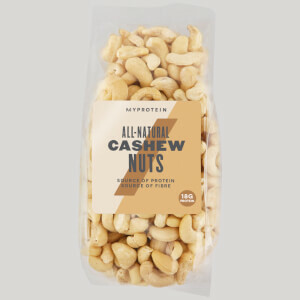 The nutritional information is based on the Natural Chocolate Flavour version, when choosing an alternative flavour the nutritional values may vary. 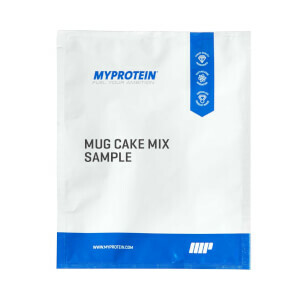 Flavoured ground rice and protein blend dessert, made with micellar casein, skimmed milk powder and with sweetener.